Before I get ahead of myself, I would like to clarify: among Gen Y-ers planning to watch the Super Bowl, two in five (40.4%) still said the game was most important to them. It’s just that a much larger proportion of these youngsters (25.6%) indicated that getting together with friends was the priority, particularly when compared to Silents (14.9%) and Boomers (15.0%). 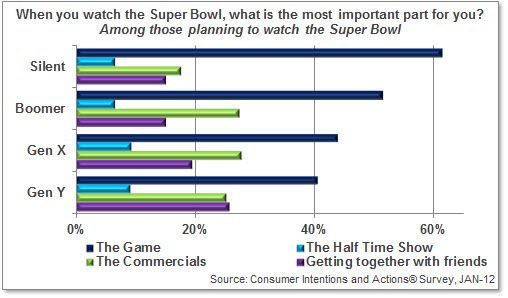 Slightly more Gen X-ers (19.4%) consider the Super Bowl a social event. Interestingly, among both of the younger generations, the combined viewers who are into the Super Bowl for the commercials or to get together with friends eclipse the percentage of those who watch for the game itself. The opposite is true for Silents and Boomers: the match-up on the field is more important than all the other “benefits” combined. – Gen Y-ers (42.9%) are the most likely to attend a party that day, double the number of Boomers (21.5%). 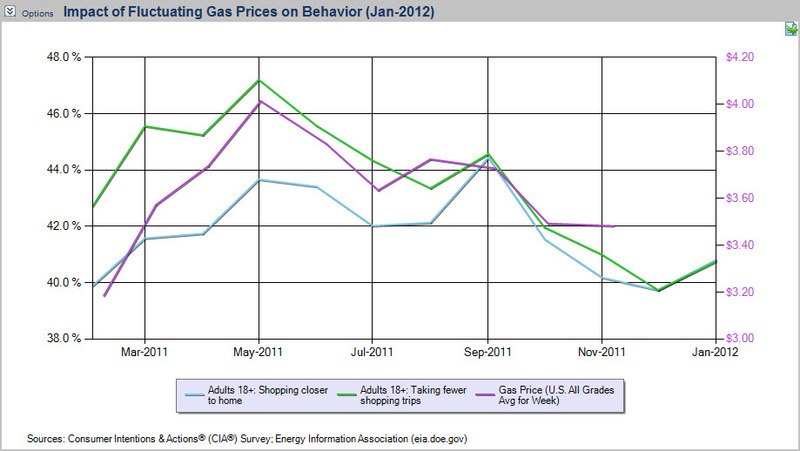 – The Gen X group is the most probable to host a party (23.1%), just edging out Gen Y (21.8%). Just a small fraction of Silents (3.1%) are sending out invites. – Bring on the taco dip! Eight in ten (79.9%) Gen X-ers are planning to buy food/beverages for game day, slightly more than Gen Y (76.6%) and Boomers (70.7%). – File this under ironic: Although the least likely to vote the game as the most important aspect of Super Bowl Sunday, 16.6% of those in Gen Y plan to show their team spirit by buying new apparel or accessories, more than any other generation. UPDATE: RAMA’s Executive Director Mike Gatti name his picks for the Top 5 Super Bowl Ads: Goosebumps, giggles and gadgets: Mike Gatti’s top 5 Super Bowl commercials.